NICE has concluded that orphan drug Soliris is highly effective in treating rare disease aHUS – but says it won’t approve the drug yet, asking pharma company Alexion to first ‘explain’ how it arrived at its high price for the treatment. As I predicted in my post from a week ago, new draft guidance released today from NICE has given orphan drug Soliris a glowing review in terms of its clinical effectiveness – but has requested ‘clarification’ around its cost. This suggests Alexion will shortly face new demands to lower the cost of its drug before it can gain final approval. NICE itself cannot conduct price negotiations with pharma companies, but NHS England, the new all-powerful health service board can, and it looks increasingly likely that Alexion will be invited to lower its costs in exchange for a final NICE approval. This is because the annual cost of Soliris is exceptionally high – it is known for being the most expensive drug in the world, thanks to its US price tag being $400,000 a year per patient. In the UK, the drug costs around £250,000 a year per patient, making it one of the most expensive treatments available on the NHS. Dillon confirmed that NICE viewed Soliris is an effective treatment for atypical Haemolytic Uraemic Syndrome (aHUS) – reflected in the fact that it is already available to diagnosed patients on an interim basis, pending the outcome of NICE’s appraisal. Alexion says it has already outlined to NICE these considerations, but said NICE had not requested specific details about cost issues around the drug’s development before. NICE has also criticised Alexion for insisting on confidentiality relating to the cost of Soliris. In translation, this seems to mean: just how much of your specialised commissioning budget do you want to spend on one drug? NHS England has been operating for less than a year, and its new national arrangements and budgets for commissioning specialised services remain untried and untested. NICE, NHS England and the Department of Health are also all well aware that there are many more orphan drugs in pharma pipelines – many of them likely to come with the same compelling clinical evidence as well as the very high price of Soliris. The decision is not just important for the 200 or so patients in England with aHUS, but for all stakeholders in rare diseases as this is NICE’s first ever rare disease appraisal – and all sides are aware of the precedent it will set. 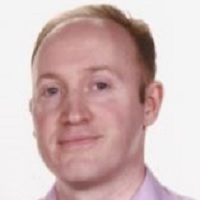 Alexion’s Vice President, Medical Affairs EMEA Jon Beauchamp said the firm was surprised the question of NHS England funding was only now being dealt with. He also questioned the £58 million cost estimate NICE had arrived, saying this assumed that all patients required adult doses, whereas many aHUS patients are children, and therefore require lower doses at lower cost. He added that Alexion had already provided a ‘significant amount of data’ about its investment in the drug, including post-marketing safety surveillance. Beauchamp said NICE’s request for information about costs was a new requirement, but would work with the Institute wherever possible. Given the very strong clinical effectiveness of the drug, and the fact that patients in need are already receiving it, there seems little doubt that Soliris will gain approval eventually. But there is now clear pressure on Alexion to enter into negotiations to lower its price. As long as these talks are conducted confidentially, Alexion is likely to settle for a compromise in order to finally gain NICE approval. As NICE is unable to query a drug’s cost directly, it has once again been forced into cloak and dagger manoeuvres on Soliris’ cost. Its request for ‘clarification’ on R&D and manufacturing costs is already stretching its remit, but is clearly intended to open the way for NHS England to offer price negotiations. 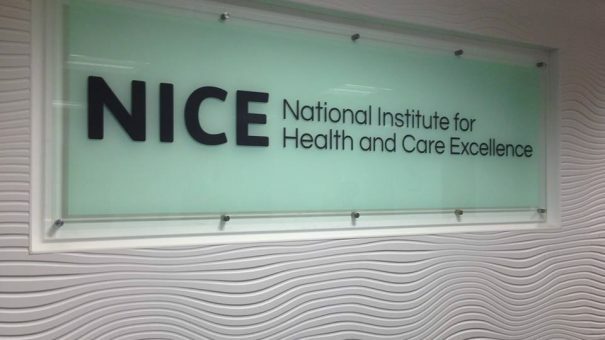 NICE says the response it gets back from Alexion and NHS England will be considered at the next meeting of the Evaluation Committee in April.